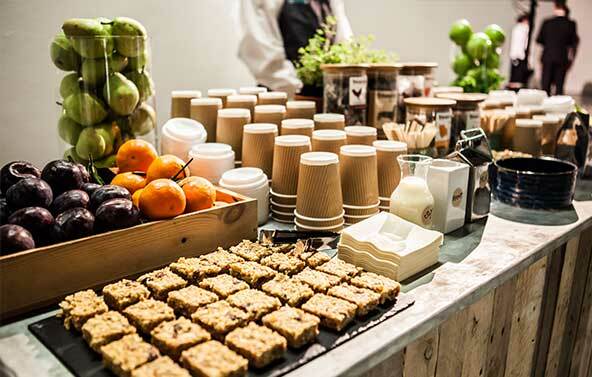 Good food should be an integral part of any event, and conferences are no exception. When event catering is done well, it can enhance the guest’s enjoyment and add value to the ticket price, ensuring people leave with a good impression of your event and brand, instead of a bad taste in their mouth. According to the report, tech innovations have knocked our concentration levels down to a mere eight seconds, versus nine seconds for our forgetful fishy friends. Clearly we need all the help we can get! The role of food in aiding brain power has long been debated. In fact, your mother might have been onto something when she force-fed you fish fingers, calling it ‘brain food’ back in the day. Here we look at the conference food journey from breakfast to lunch and break times, with some suggestions for top brain-boosting foods that you could incorporate in your menu to boost the energy and engagement of your delegates. A recent study by Microsoft found that the average human attention span is now shorter than that of a goldfish! We’ve all heard the old adage that ‘breakfast is the most important meal of the day.’ Whilst some might scoff as they reach for their third cup of coffee before consuming a morsel of food, science shows that concentration levels are hugely impacted if you skip breakfast. A recent report studying Australian school children showed that students are missing the equivalent of a term of school by not eating breakfast. The study, by Foodbank, shows students lose two hours of learning a day due to a lack of concentration and behaviour problems if they miss breakfast. And the problem doesn’t stop when you leave school, in fact, it’s probably worse as pressures on our time increase. Help your guests kick-start the day by giving them healthy, fresh options as opposed to a quick caffeine fix, which will start to wane by mid-morning. 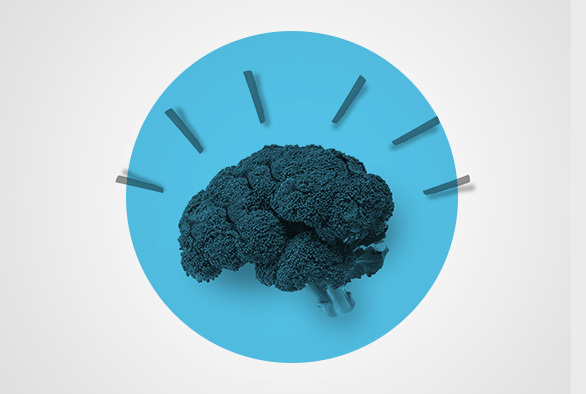 This BBC Food article gives a helpful rundown of the Top 10 foods to boost your brainpower. Whilst not everyone will fancy sardines for breakfast, fruits like blueberries, blackcurrants, nuts, seeds, wholegrains and tomatoes are easy to work into any health-focused menu. 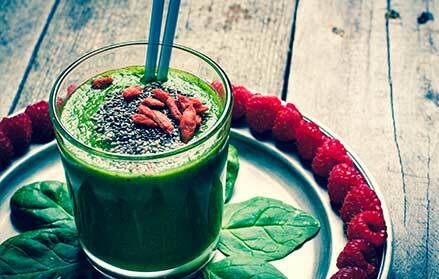 With one superfood smoothie, you can pack in all of the nutrients you need to boost brain power. Choose a green base with superfoods such as kale and spinach, which are packed full of antioxidants, vitamin C and iron and give guests the choice of a menu of drinks, packed full of fresh fruit and vegetables for a natural and long-lasting energy boost. Offer wholegrain cereals as a breakfast option. 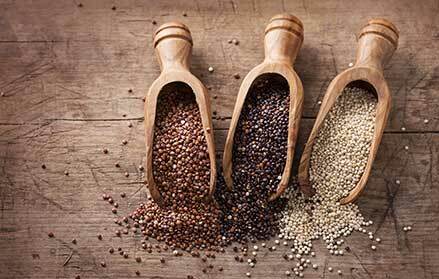 Wholegrains release energy slowly and can aid concentration levels, helping set guests up for the day ahead. Whilst you likely need to offer regular tea and coffee, offering your delegates a healthier non-caffeinated option with a selection of infused herbal and fruit teas is a good idea. When it comes to lunch, encourage social interaction and networking amongst delegates by making food a focus not an afterthought. Instead of having one set menu at a large event, create a custom food offering, using different spaces to offer fresh alternatives to suit every taste. Bring in established catering vendors to suit the tone of your event, or create custom food brands to link with your event identity, enhancing your brand personality for added impact. So, swap the soggy sandwiches for sushi, and a fresh salad bar, packed with superfoods, and fresh fruit options. 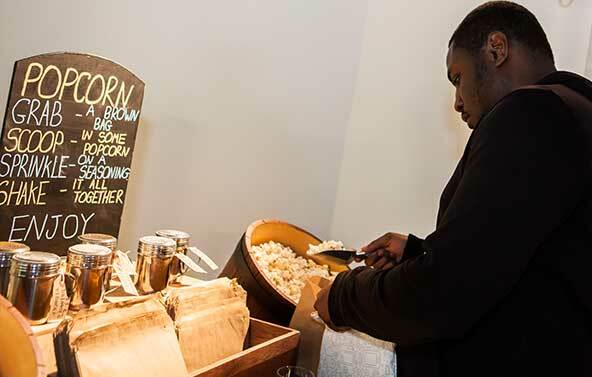 Small plates or quality tapas served in a reception format will encourage interaction amongst delegates. As a midway point in an event or conference, this creates a great opportunity for guests to take a break whilst networking in a casual, relaxed environment after sitting through the morning’s presentations. Taking networking to the next level, create culinary teambuilding opportunities by offering delegates the opportunity to get in on the action, with live cooking stations where guests can help create their own lunch alongside colleagues. A little theatre goes a long way in terms of boosting the conference dining experience; adding an interactive element with live cooking from a chef with bags of personality is one way to make an impression. The chef can also talk through the reasons why fresh, locally-sourced produce is being used and the health benefits behind the menu options. Allowing flexibility in dining times can also have a big impact on the overall event or conference experience. All day dining gives delegates the opportunity to break for food whenever they have time throughout the day, rather than dictating strict one hour windows for feeding time. It’s an event, not a zoo after all. For larger events, create a festival like environment, with takeaway options to enjoy in creative spaces – this could work particularly well for venues with great outdoor spaces in summer. Half of our bodies are made up of water. Put simply, we cannot function without it. Staying hydrated is key to memory function. 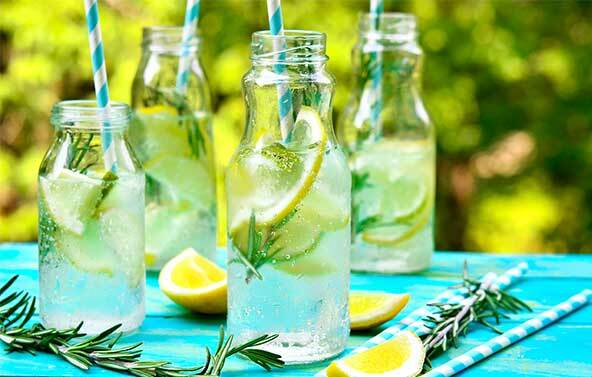 Counteract the dehydrating effects of tea and coffee by encouraging delegates to drink lots of water throughout the day: put branded bottles of water in welcome packs and mix it up, with a ‘Hydration Station’ offering a variety of waters, flavoured with fresh fruit. Belfast’s Merchant Hotel recently launched a new water menu, with its most expensive water – a Canadian glacier water – retailing at £26.45 a bottle. Whilst we’re not suggesting you go to the extremes of importing expensive exotic waters for your next conference or event, you should ensure you give guests ample opportunity to hydrate. 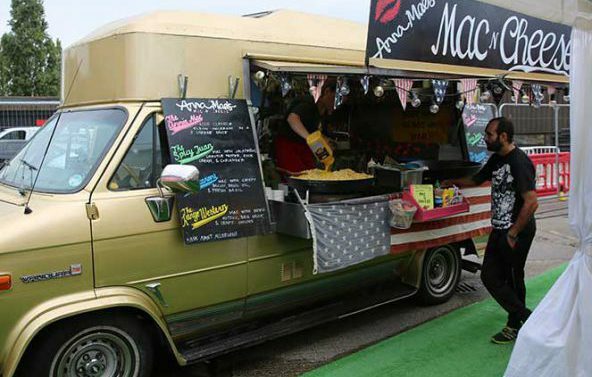 As featured in our recent Inspiration Station, quirky catering company, Edible Stories is one company that’s breaking the mould when it comes to event catering. Consumers and indeed conference delegates are becoming more discerning. The rise of the everyday foodie means that people will no longer settle for weak canteen coffee, stale Danishes and Custard Creams. 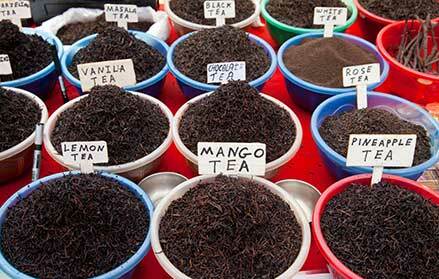 They want quality over quantity, with locally sourced ingredients from organic and craft producers. 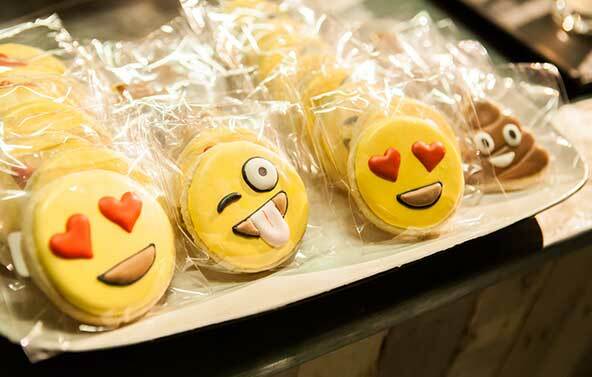 High street food trends now drive customers’ expectations for food and drink options at events. With the advent of new styles of healthy and alternative fast food, from sushi bars to noodle stations, salad bars and tapas style offerings, it’s time for event organisers to up their game. By putting a focus on food and creating event catering that veers from the norm, your conference or event will be sure to make an impression. For help in creating events with bespoke food options, contact the Clive Team on 0203 960 2000.